PS: CMP still has delinked Lake City .30-06 M2 ball at $80.80/250 rds, delivered. Pair that with en bloc clips from Pat's Reloading at $45/100 and you will be good to go. Alternatively, buy the Greek '06 in spam cans from CMP at $68.95/240 rds, and you'll get the en blocs, bandos, and cardboards. 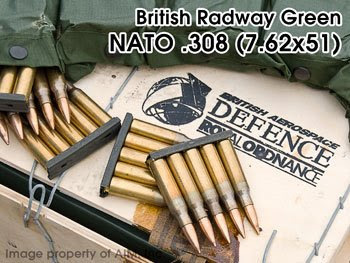 Already ordered the Lake City, but hadn't seen the British .308. Thanks for the heads up! My AR-10 loves this stuff.